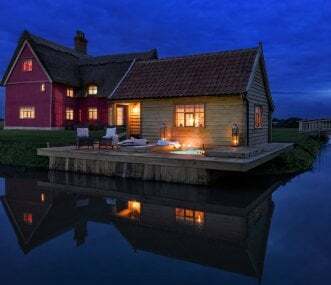 From picturesque farm cottages, camping barns and large country houses to self catering holiday rentals there is a wide range of large holiday accommodation for rent in East Anglia. Groups can go sightseeing in the historic university city of Cambridge; boating on the Broads; cycling through the flat, fenland landscapes; or walking along miles of seaside trails and nature reserves. Check our last minute late deals and late availability orange button to the top right of this page for availability three months ahead and for Christmas and New Year holiday cottages and rentals. Set up on a hillside is a newly renovated unique property with it's own moat, rowing boat, and private hot tub. Stunning open plan kitchen with fantastic views of the surrounding countryside. Fully catered, 5 Star rated, historic country house offering a full service in the style of a boutique hotel, minutes from Lavenham and Sudbury. Perfect for special occasions and celebrations. 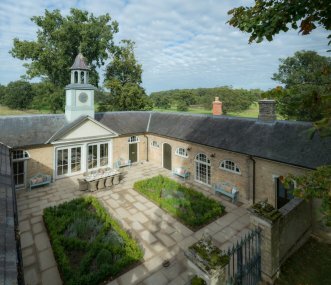 Beautiful Georgian stables and Suffolk barn with beautiful accommodation and stunning views across private countryside. Perfect for weekend escapes, celebrations and get togethers. 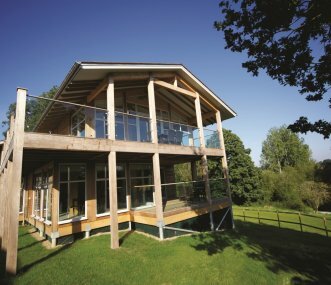 Plan a stylish stay in our Stoke by Nayland Country Lodges and enjoy a quiet countryside location coupled with proximity to both restaurants and fantastic leisure facilities. Sleeps 2 to 32. 3 outstanding properties sleeping up to 30, all with their own hot tub and 5 star luxury and local Norfolk hospitality. So begins a truly special holiday you will be remember for years to come. Luxury cottages in Norfolk, sits in a stunning 1/2 acre walled gardens with it’s own hot tub located between Cromer and Sheringham, 300 metres from the beach. Gourmet Welcome pack included on arrival. 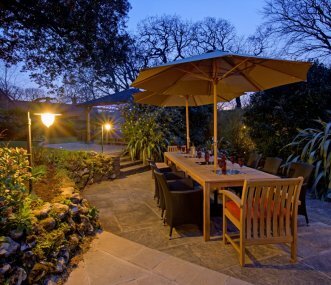 Combining the convenience of a self-catering holiday along with the facilities you'd expect from a boutique hotel. Sleeps 17-21. Perfect for family get-togethers and friends reunions. Ash Tree Barns is a unique and distinctive property offering the luxuries of a first class hotel with the freedom and exclusivity of a private home. Combining the facilities and glamour of a boutique hotel with the individuality of a grade 2 listed property this is a holiday house for friends and families looking for a little hedonistic luxury. Recently refurbished private home dated 1870. Set in the heart of Suffolk in the Newmarket area. 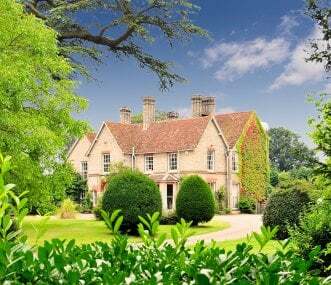 Beautiful historic property guarantees warmth and comfort for groups of friends and families. When you think of holiday cottages in East Anglia, you might imagine holiday cottages in Norfolk overlooking vast swathes of open fenland or fertile farmland; self-catering farmhouses in Suffolk's softly undulating hills or with beautiful views of winding rivers and picturesque waterways; or coastal holiday cottages in Great Yarmouth, Felixstowe, Lowestoft, or another of the region's traditional seaside resorts. At Group Accommodation, we work hard to fulfill these dreams, and as a specialist group holiday company we are dedicated to bringing you the best big group holiday homes. It's tough deciding where to go in East Anglia, with such a fabulous choice of attractions and a wide choice of group accommodation. Stay in a group cottage and you can enjoy all the excitement of Pleasurewood Hills Theme Park; historic Sutton Hoo and the West Stow Anglo-Saxon Village; horse racing at Newmarket; and exciting wildlife attractions such as Africa Alive. Rent a big holiday home in East Anglia and you can explore the Great Yarmouth Sea Life Centre; the scenic Broads National Park; the historic town of King's Lynn; and and even the Dinosaur Adventure Park. Hole up in one of our large holiday cottages in Cambridgeshire and there's Linton Zoo nearby, plus the historic university city of Cambridge itself. We try to make it easier for you to decide where to stay by providing detailed property descriptions and images for every holiday home in East Anglia, alongside a list of activities available nearby. 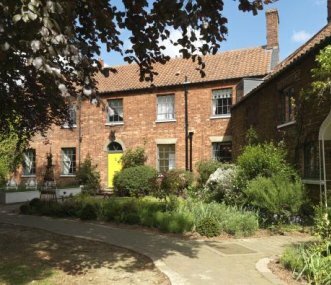 Our large group holiday cottages in East Anglia are scattered right across the region's counties, so you can find large holiday properties in Cambridgeshire, Norfolk and Suffolk. By using our map functionality, whether you're planning a short weekend group break, a big reunion, or a full week's holiday, you can quickly narrow down your search to the specific part of East Anglia that appeals to you most. Our selection of accommodation for large groups is unrivalled, and our holiday properties are hand picked so you can be confident that we have a large holiday home to suit your specific needs. Our impressive portfolio features large holiday cottages in East Anglia, as well as a range of other types of accommodation such as luxury barn conversions, lodges, spacious country houses and camping barns. Searching for group accommodation does not need to be stressful. We take all of the hassle out of booking accommodation for large groups by providing an easy-to-use website that brings together the very best large holiday homes in East Anglia for you to choose from according to your own set of criteria. You can browse all of the properties in East Anglia in our Regional Search; pick out specific holiday homes by area on our Map of East Anglia; or use our Main Search to narrow down your results by several criteria such as location, property type and how many the holiday cottage sleeps.